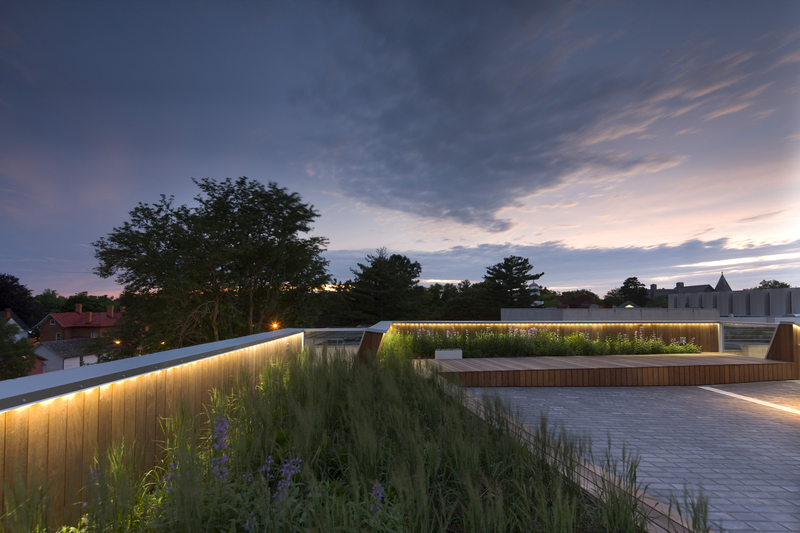 A component of GV’s landscape for the Conservatory, the two-thousand square foot garden terrace sits atop the third floor of the school’s new Kohl Building. GV designed the roof deck and seating stage as a venue for events and as a flexible, everyday space. Grass textures persist into winter and a wash of bulbs arrives in March before giving way to June’s intense bloom.